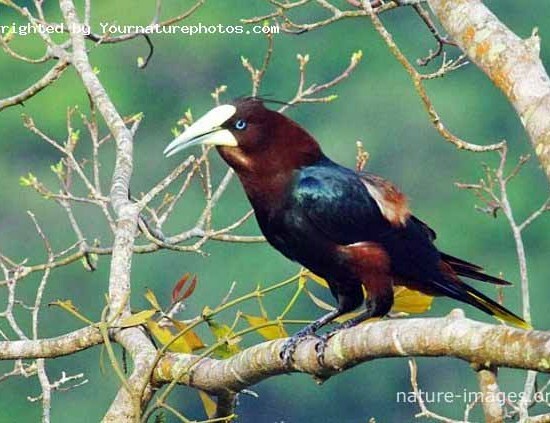 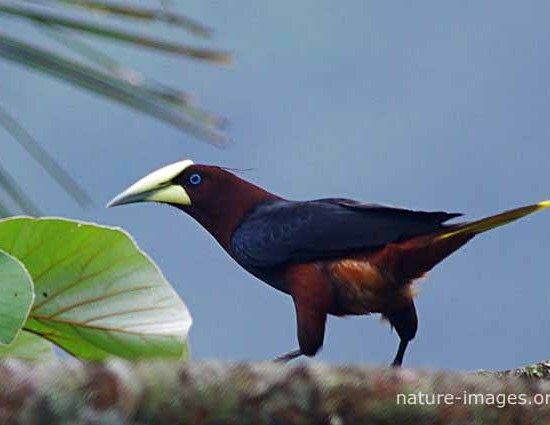 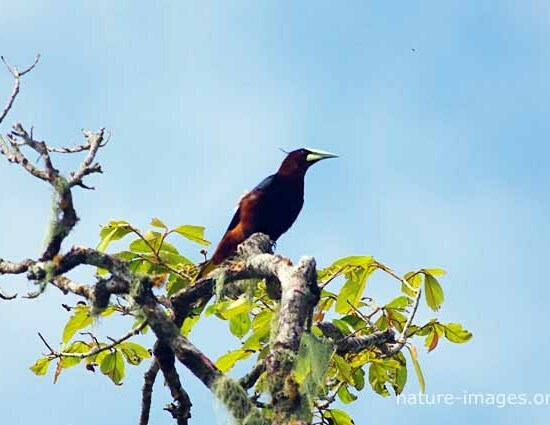 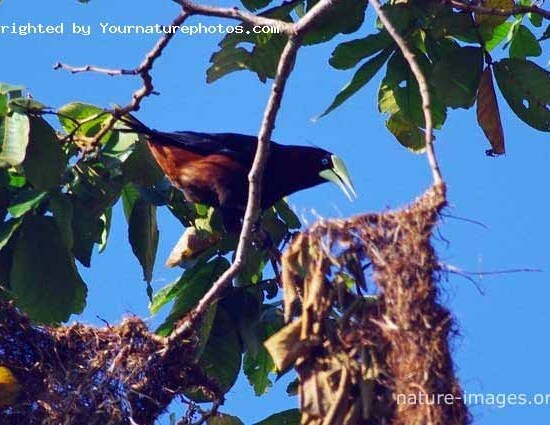 The chestnut-headed oropendola (Psarocolius wagleri) can be found in the Caribbean coastal lowlands from southern Mexico to central Costa Rica, both slopes of southern Costa Rica and Panama, and the Pacific lowlands of Colombia and north-eastern Ecuador. 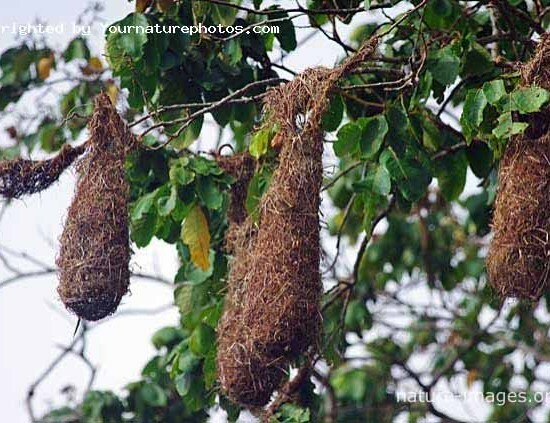 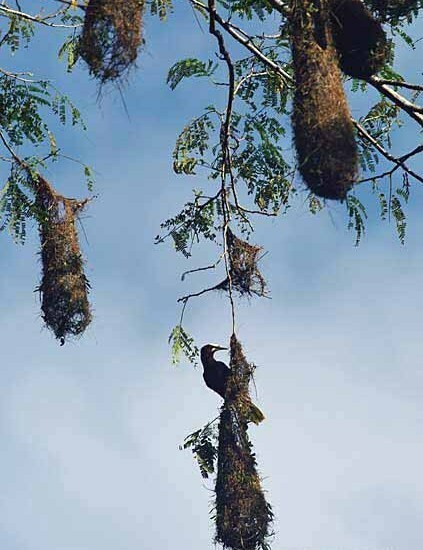 It is a colonial breeder which builds a hanging woven nest of fibres and vines, 60–100 cm long, high in a tree. 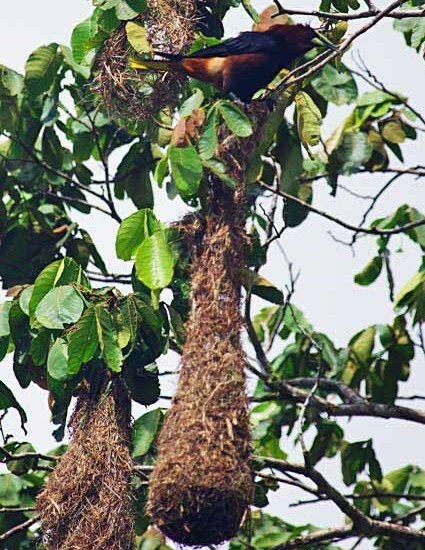 They eat large insects, fruit and berries.